The comments by Pascal Saint-Amans, a former French Ministry of Finance official, were made at a conference in Dublin and reported by RTE News. These reliefs are very important to both indigenous firms and multinationals based here, particularly in productive sectors that require large capital investment. It would be a disaster for these firms if our government was to acquiesce in their removal. his own government offer a whopping 40% Research & Development Tax Credit, which they claim is “the most generous in Europe”. 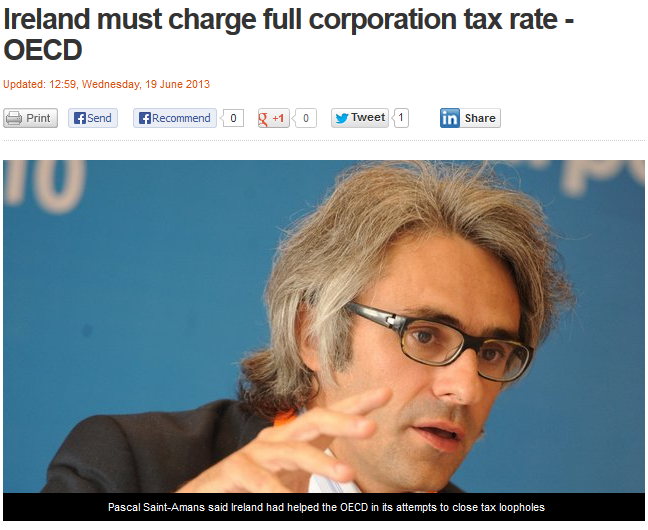 most French companies pay a small fraction of their headline 33.33% Corporation Tax rate. Maybe he should clean up his own backyard first.